Thanks to exclusive agreements with household battery brands, Supreme are able to supply a variety of dry cell, specialist and rechargeable brand name batteries. 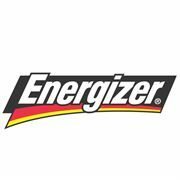 Brand name batteries offer some of the highest returns per square foot of any consumer product currently on the market. This makes them a recession-proof revenue stream for any retailer. Consumers regularly purchase disposable batteries for a wide range of applications sold in most stores, ensuring that sales remain consistent year-round.